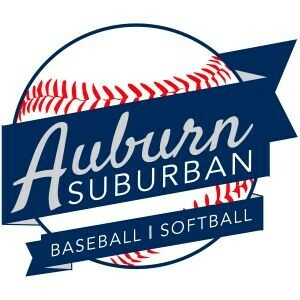 Updated Tuesday May 15, 2018 by Auburn Suburban Baseball & Softball. For Baseball, a player’s league age is their age on May 1, 2018. Please use this age to determine which tryout to attend. 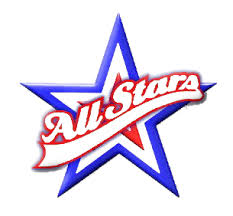 This year 8U Baseball (8 years and under) will be included in our All Stars post season. The tryouts will be at the Rookies/Minor Baseball field at Cliff Rydholm Park (our primary field complex), June 3rd @ 5pm. There wil be two pre-tryout practices leading up to that date. 5/20 @ Cliff Rydholm Park, Minor Baseball Field at 4pm. And 5/29 @ Cleveland Field at 5:30pm. If you absolutely cannot make the 6/3 tryout, you will need to make one of the practices before. This not only provides for clear evaluation of players, but also demonstrates commitment to the post season program. The tournament will be held 7/7 - 7/9 in Bridgton. We will have a group of coaches present to best evaluate the kids most able to fill the roster. If your son or daughter is interested, please encourage them to try-out. A small fee may apply for post season play (uniform, etc). 9U and 10U Baseball All Stars! Players who are league age 9 will tryout for the 9U team on May 28th at Pulsifer Field at 3pm. The 10U team will have tryouts at 4pm. The 10U coaches will run the drills for the 9U team. The 9U coaches will run the drills for the 10U team. Players interested in playing MUST be present for try-outs. This not only provides for clear evaluation of players, but also demonstrates commitment to the post season program. 11U and 12U Baseball All Stars! Please note that we have some post season play opportunities for Major Baseball Division. One team consists of league age 11 & Under players and the other for 12 & Under players. Both will try-out on May 28th at Benson Field. 11U will try-out at 5pm followed by 12U at 6pm. Please note that all players interested in playing MUST be present for try-outs. This not only provides for clear evaluation of players, but also demonstrates commitment to the post season program. Please note that ALL Head Coaches within the division (with input from their respective assistants) will have input on how the two teams are selected. By combining this approach with mandatory try-out participation we intend to make this selection process as fair as possible. Please contact your coach or division director with any questions.